Owner: Ocean SS Co Ltd. (Blue Funnel), GBR Liverpool. Builder: Harland & Wolff, Belfast. 1973 transferred to China Mutual SN Co Ltd., GBR Liverpool. Same name. 1975 transferred to Elder Dempster Lines Ltd., GBR Liverpool. Same name. 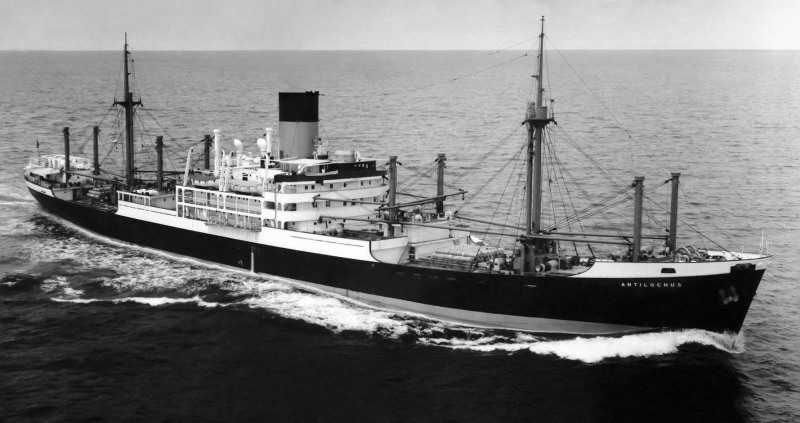 happy memories of when merchantmen looked this good! mrdot. This photo has been shown 1,617 times since it was added to the site.